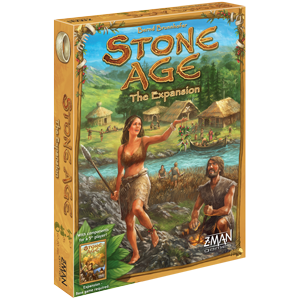 Relive history at the dawn of humanity and carve your victory—in stone! Life was hard in the early days of human history. Our ancestors were hard workers, but through ingenuity learned to make much of this work easier. Over time, they developed tools to collect resources and develop human civilization. 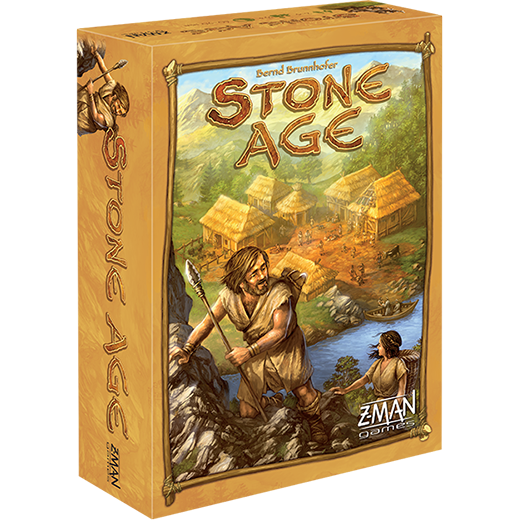 In Stone Age, you take on the role of a human in this bygone era. 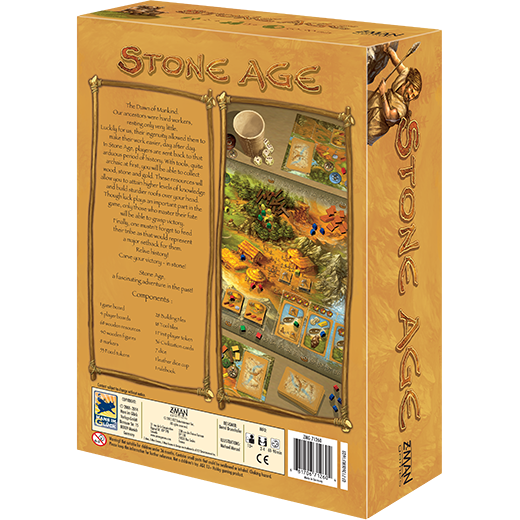 Beginning with archaic tools, you collect wood, stone, and gold to attain higher levels of knowledge and build sturdier structures. 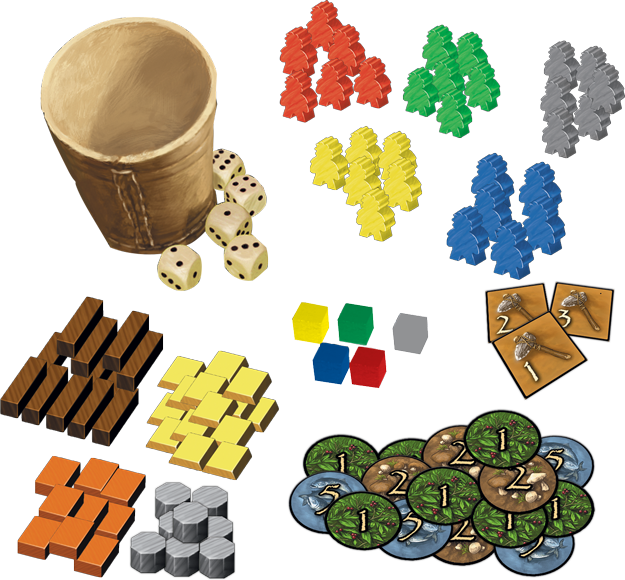 With resources being scarce, you must compete for the limited number of spaces on the board that produce them while also gathering food to feed your growing tribe. 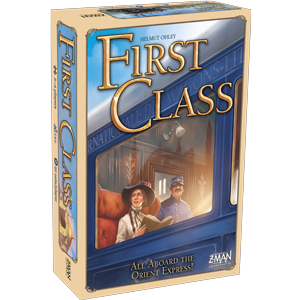 Through diligence and insight, you can forge your way through the early days of recorded history and build the foundation of human civilization. 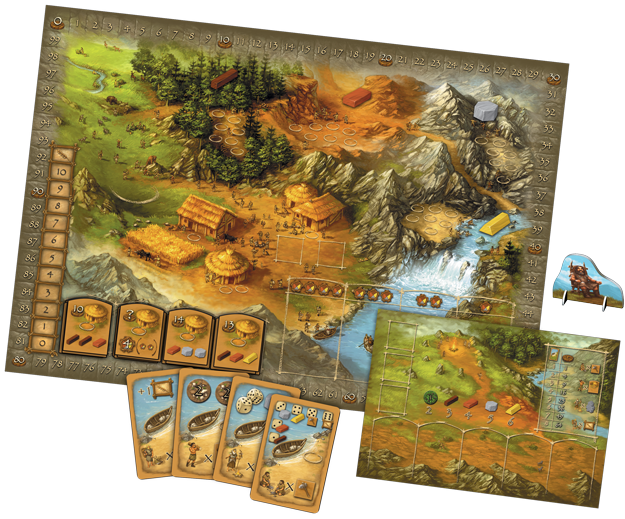 Stone Age is an engaging and accessible game where players take turns placing figures on board spaces to perform actions and gather resources. 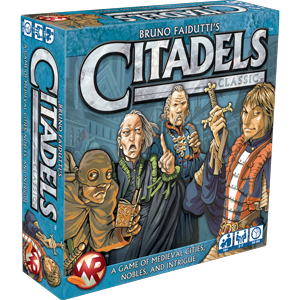 There are a limited number of spaces, so you must determine the best actions to take each round. It’s up to you to develop your tribe by gathering resources, constructing new buildings, and advancing their culture while also maintaining enough food to feed your people. 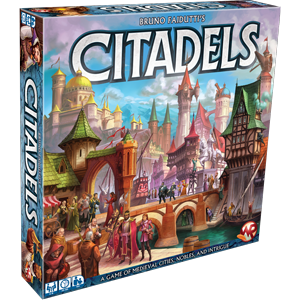 Strike the right balance to create the most advanced civilization and lead your people to a better life! 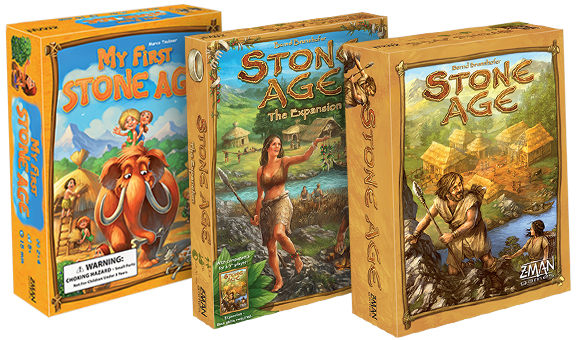 Relive history as you lead your tribe to prosperity at the dawn of mankind. Only those who who master their fate will be able to grasp victory.